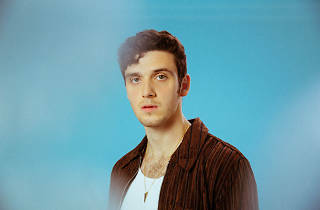 Lauv is an American singer, songwriter and record producer, best known for his singles “I Like Me Better”, “Come Back Home”, “Adrenaline” and “The Other”, and his single with DJ Snake, “A Different Way”. Lauv released his debut EP, Lost in the Light, in 2015. He was named at #1 place on Billboard’s “Emerging Artists” chart in June 2018. On January 24, 2019, he released the single “I’m So Tired…” in collaboration with Troye Sivan. Born Ari Staprans Leff on August 8, 1994, in San Francisco, California, to parents Silvija Staprans and Stuart Leff, he is of Russian Jewish and Polish Jewish descent on his father’s side, and of Latvian descent on his mother’s side. He played in several bands and studied jazz in high school, and studied music tech at New York University. In 2018, he began dating singer-songwriter, Julia Michaels. Siblings: He has 2 sisters. *He was born on August 8, 1994 in San Francisco, California, USA. *He attended Radnor Middle School in Wayne, Pennsylvania. *His song “The Other,” ranked on Spotify’s Global Top 100. *He toured and performed in Ed Sheeran’s Divide Tour in 2017. *His song “The Other” was tweeted out by Liam Payne of One Direction. *John Mayer, Coldplay, Taking Back Sunday, Green Day, and Skrillex are his musical inspirations.